Thanks to our partnership with Aceable, you can get your Oklahoma drivers license with a maximum of convenience and a minimum of stress. While you could always learn to drive by reading a thick, boring textbook, why would you? If you are an Oklahoman at least 15 years old, you can start our course today and be on your way toward earning your Oklahoma drivers permit with an online course designed just for you and your busy lifestyle. Rules established by the Oklahoma Department of Public Safety (DPS) require that learning drivers complete a 30-hour classroom course. Our online course has been approved to meet this requirement - minus the classroom. With an online course you can study as much as you want for each session. There’s no need to feel rushed or overwhelmed. What Our Oklahoma Drivers Ed Courses Will Teach Me? Each unit covers the material with a combination of videos, animations, and graphics. After each unit, you’ll take a quick multiple-choice quiz designed to get you ready for the final exam. Final exam?!? Don’t worry. 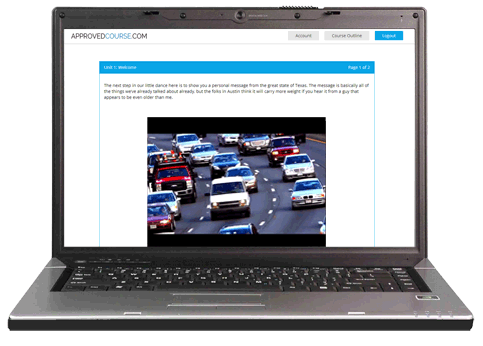 With unlimited retakes, you’re practically guaranteed to pass your Oklahoma drivers ed course. Get That Oklahoma Drivers Permit Quickly and Easily! Your online Oklahoma drivers ed course allows you to break up that DPS-required 30 hours of instruction into as many segments as you need. You can finish your course in a matter of days or spread it out longer if that’s what is best for you. We've made it easy to get ready for the road just as soon as you’re ready. After you’ve passed the final and finished the course, we'll mail you your certificate of completion. However, we don’t just want to teach wht you need to be a driver, we’d also like to teach you how to actually get your license. 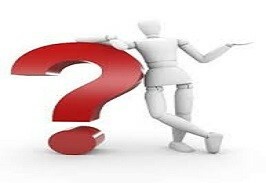 Take a moment to read through our FAQ’s so that you can arrive at the DPS with all the information and paperwork you will need to make the process go smoothly. We're Here for Parents, Too! As a parent, you want more than anything for your teen to be safe behind the wheel and your biggest concern is our biggest priority! The driving tools and tips provided by our course gives your teen all the information he or she needs to become a safe and responsible driver. We are also here to help you by providing resources to get you through this sometimes stressful period. Our course includes a free parent-teen driving contract developed to establish boundaries and to make sure expectations are always met. Our site also includes a parents page where you’ll find some helpful tips guiding your teen and how to be a supportive, nurturing coach while they're learning to drive. 24/7 Support & Money-Back Guarantee - You Can’t Lose! Our DPS approved Oklahoma drivers ed course is offered in partnership with Aceable and comes complete with 24/7 support and a guarantee of quality you deserve. If you ever run into a snag with your course, we’re here anytime to answer your emails and phone calls. However, if you’re not 100% satisfied with the preparation and support our course provides, we’ve built in a money-back satisfaction guarantee. All that you need with zero risk. Why not get started today? For a teenager to apply for a learner permit, he or she will need to pass both a written and vision exam and provide the following documents: to the Oklahoma DPS. A type of primary government identification, such as a certified birth certificate, certificate of naturalization, or a U.S. passport. A type of secondary ID, such as an Oklahoma employer ID, health insurance card, social security card, or an affidavit of parent authorization. A letter from school administrator verifying enrollment and attendance. Detailed instructions on applying for a learners permit can be found on the Oklahoma DPS website. Get Your Permit the Quick and Easy Way!